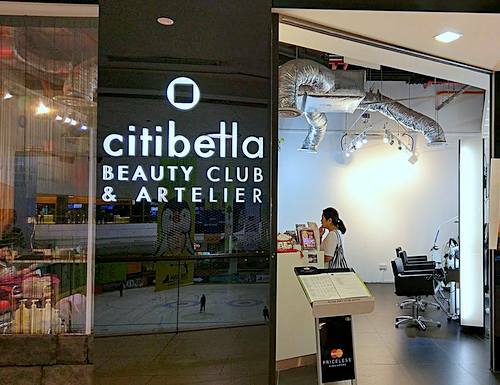 Citibella Beauty Club & Artelier salon chain has three locations in Singapore, including their flagship salon at Choa Chu Kang Centre (309 Choa Chu Kang Ave 4). Two of the Citibella locations (Bedok Mall and Tampines One) specialize in offering nailspa services including manicures and pedicures. Citibella’s main location, on the other hand, also has a range of beauty treatments and massages from essence oil infused body massages to detox therapies and body contouring treatments. Highlights on the beauty service menu include Power White Treatment, San Bao Body Therapy, Wonder Essence Treatment, ARF Face + Eyes + Neck Treatment, ARF Body Contouring Treatment, as well as DPL Light Treatment. The official Citibella Beauty Club & Artelier Facebook page is located at www.facebook.com/OfficialCitibella. Following the Facebook page, you’ll learn more about the salon chain’s services, their promotional offers, events, and more.